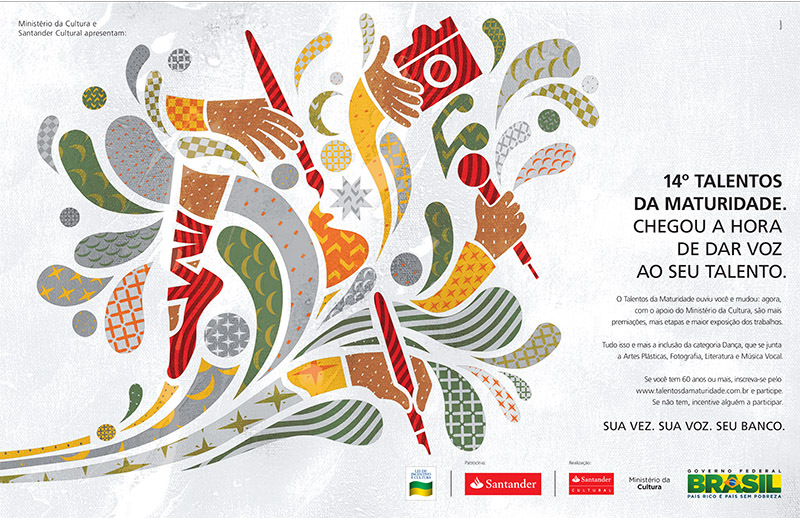 Project for the agency Talent; case for cultural contest Maturity´s Talent (Ministry of Culture of Brazil + Santander Bank). 2013 work. Share the post "Maturity´s Talent"